The essential oils employed in the treatments were chosen on the one hand for their antiviral activity and on the other for their hepatocellular regenerative activity. According to the protocol of the study, essential oils were taken orally, diluted either in honey, vegetable oil, or in gel caps. 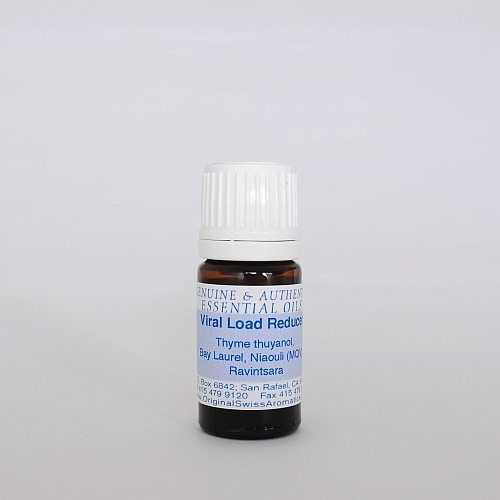 Essential oils chosen for their antiviral activity were Ravintsara, Bay Laurel, Niaouli and Thyme thujanol type. 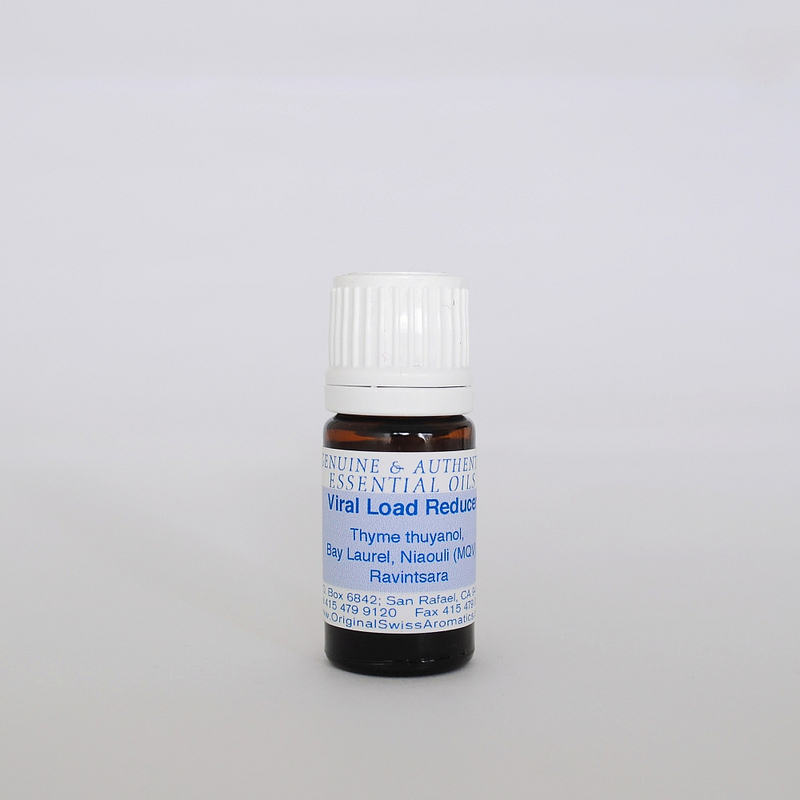 Modern Magic Viral Load Reducer is a proprietary blend of these essential oils including the rare essential oil of the thujanol type of Thymus vulgaris. Ingest 1 drop 3 times per day with a fatty oil, for 10 days, take 3 weeks off and repeat. Ingredients: Ravintsara, Bay Laurel, Thyme thuyanol, and MQV (Niaouli).